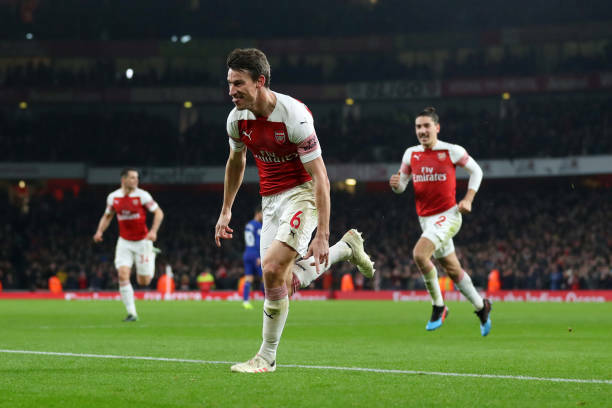 Laurent Koscielny missed Arsenal’s first matches of the season but he returned in December, 2018. Arsenal has this season gone through ups and downs, but it has totally become inconsistent ever since it lost its unbeaten run at the hands of Southampton at the Saint Mary’s Stadium. Laurent Koscielny was heavily criticized in that game because he had a poor performance after returning from a long-term injury. Arsenal’s 2018/19 season is on the verge of collapsing as its objectives seem unlikely to happen e.g: them finishing in the Premier League top four so that they can get back into the UEFA Champions League. Their defeat to Manchester City on Sunday took them to the sixth position on the Premier League table and this shows how competition for a top four finish is tough this season. Arsenal captain Laurent Koscielny has however sent a message to the Arsenal fans ahead of their upcoming matches. Arsenal will this weekend face Huddersfield Town and they will be hoping to get back to winning ways as they wait to see if Manchester United and Chelsea will drop points. Laurent Koscielny missed Arsenal’s win against Cardiff City because of a jaw injury but he returned last weekend as the gunners faced Manchester City, he got on the score sheet as he equalised for the gunners in the first half but they ended up losing the game 3-1.